Menlo Dermatology Medical Group & Laser Center, I. (Menlo Park) - Book Appointment Online! Menlo Dermatology Medical Group & Laser Center, I. Experience, expertise and compassion define the physicians and staff of Menlo Dermatology. The three physicians are board-certified in Dermatology and adept in managing dermatologic disorders from infancy through older years. We have particular interest in aesthetic dermatology and repairing signs of aging, and offer an extensive array of beneficial technologies. Our office in Menlo Park, California offers an elegantly tasteful and pleasant atmosphere where thorough individual attention is provided to each patient. 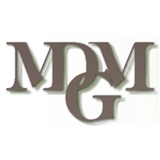 You are invited to browse these pages, and to contact MDMG for a consultation.